It’s that time of the year when I look back at all the photos I have made throughout the year and try and pick out a few of my favorites. I managed to get out on a lot of trips this year and took quite a few photos along the way, so it’s been difficult for me to pick out just a couple. I hope you enjoy the photos I’ve chosen. Please feel free to leave me comments on my selections below. 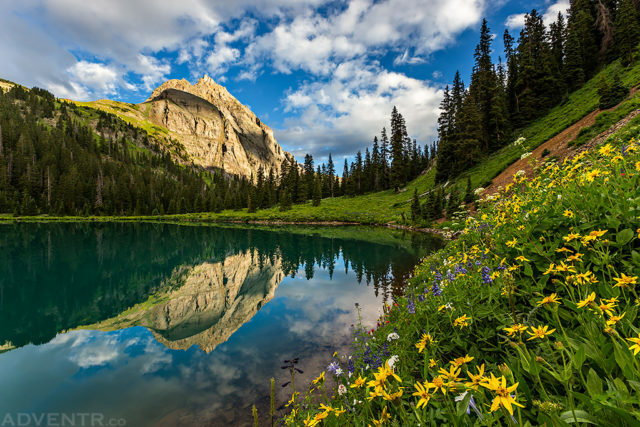 I went on an amazing backpacking trip to the Blue Lakes in the San Juan Mountains this summer and managed to catch some nice wildflowers and a great reflection of Wolcott Mountain at sunrise next to the lower Blue Lake. 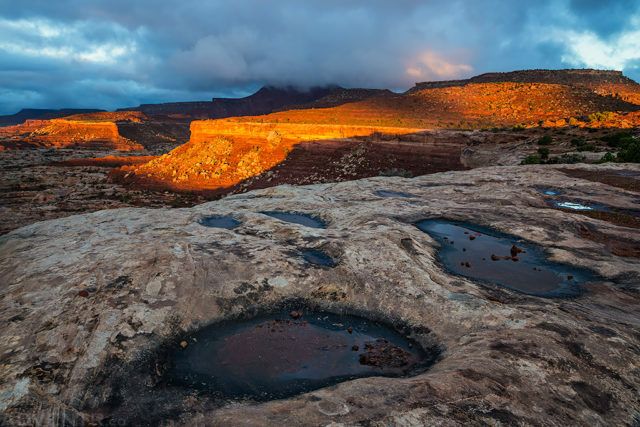 After spending two days in The Maze District of Canyonlands National Park over the Memorial Day weekend, we were treated to this amazing sunrise from the Maze Overlook on our third day before heading back home. 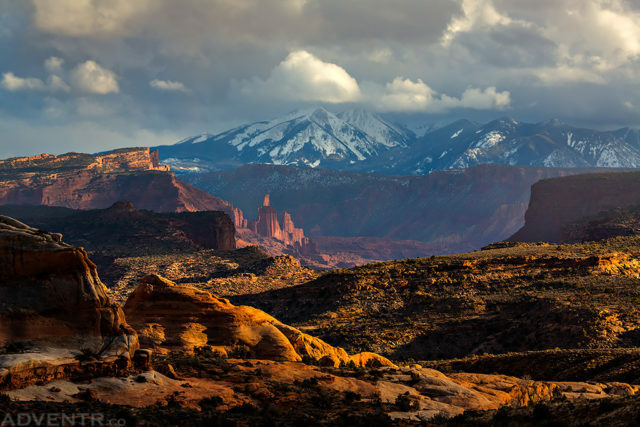 A different view of the well-known Fisher Towers this past spring as I explored the Squaw Park area just east of Arches National Park. The late afternoon storm moving through the area added a nice mood to the scene. 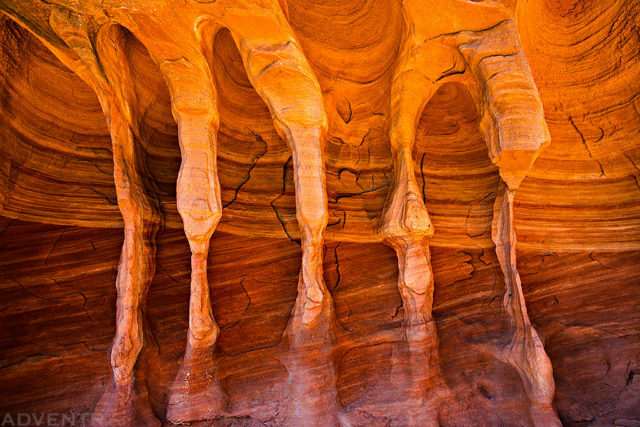 Sandstone details found in the back of a shallow alcove during a hike in into Horseshoe Canyon. I almost didn’t stop here for a photo as we hiked by, but am glad that I did! 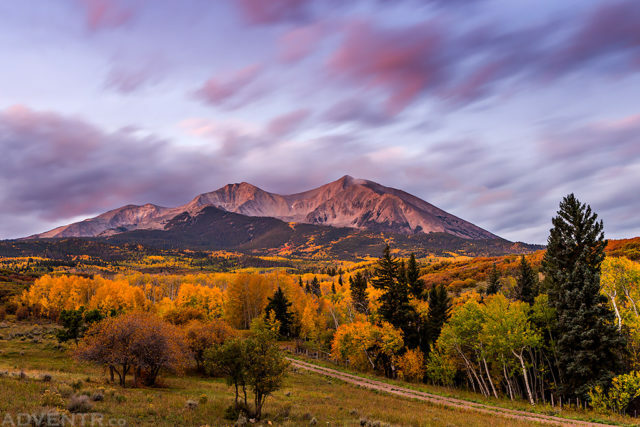 Mount Sopris and the fast-moving clouds above before a beautiful sunrise this past fall on my annual Fall Colors trip in the mountains of Colorado. I’m really hoping to climb those peaks in 2015! 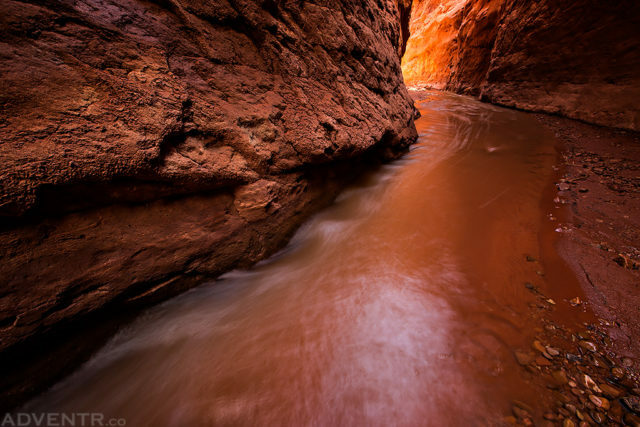 Glowing light around a bend in Mary Jane Canyon. This was a great hike up Professor Creek in the late spring that I hope to repeat again in 2015. 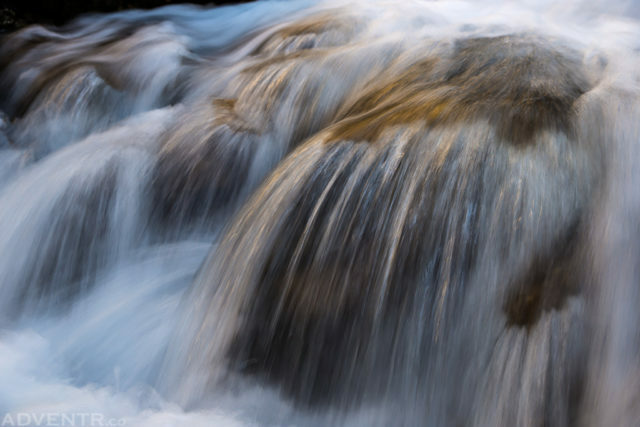 The detail of a small cascade along Dead Horse Creek during a hike up to Hanging Lake near Glenwood Springs early in the summer. 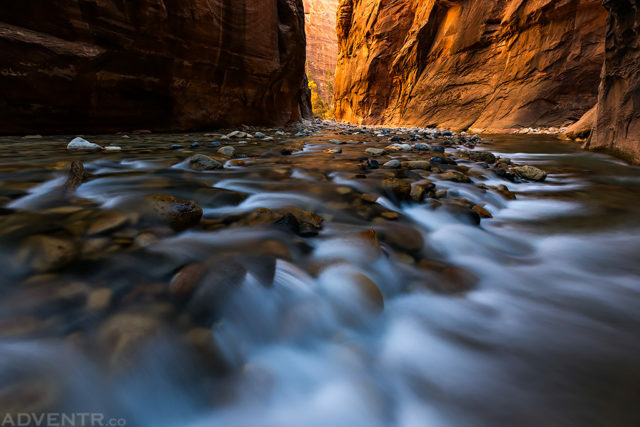 One of the many photos I took on my first hike through The Narrows in Zion National Park this past fall. This was my favorite from that day. A sunset in Gray Copper Gulch that I didn’t think was going to happen. 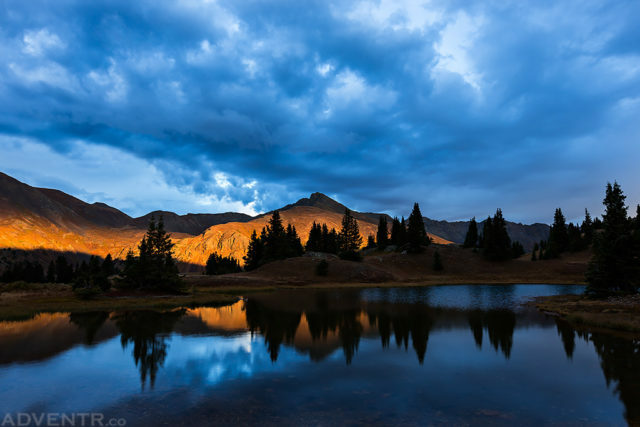 There was a small enough gap in the clouds on the horizon that produced these colors at sunset during a stormy evening in the San Juan Mountains. 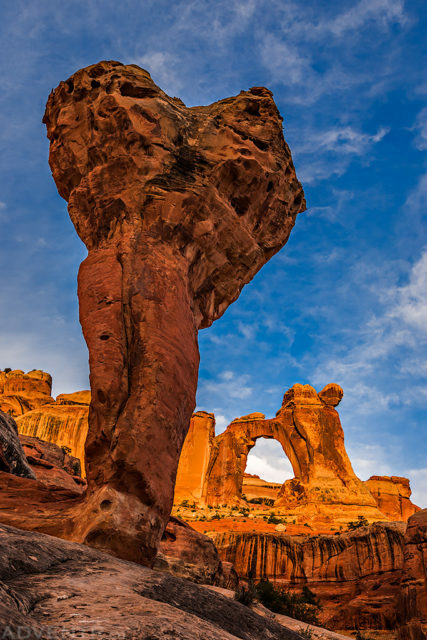 Molar Rock and Angel Arch at sunrise during a backpacking trip through Salt Creek Canyon in the Needles District of Canyonlands National Park. I’ve wanted to visit this arch for many years and was glad to finally reach that goal this year. 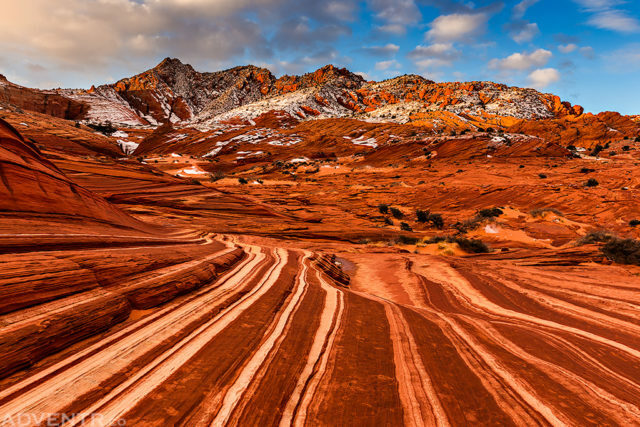 Since I always seem to have a difficult time choosing only ten of my favorite photos from the year, here are a few runners-up that just missed making the top ten in 2014. Enjoy! 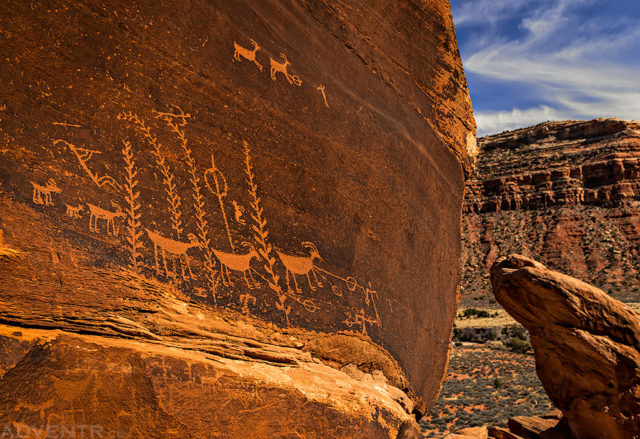 A very nice petroglyph panel found at the base of Cedar Mesa that I visited on a camping trip in the early spring. 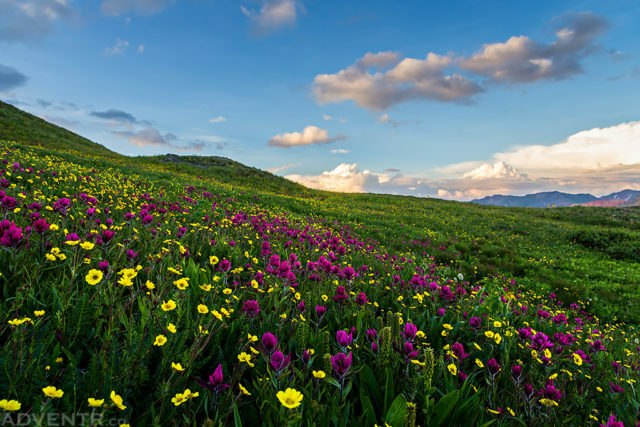 I found this amazing patch of wildflowers near one of our camps in the San Juan Mountains shortly before sunset. I quickly scrambled to take a few shots before it was too dark out. 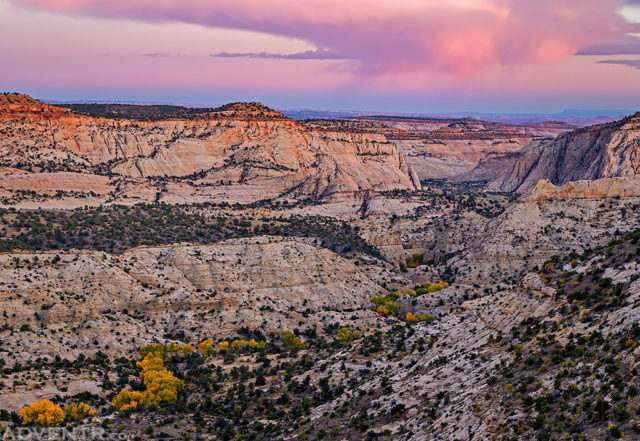 There was an amazing sunset on this evening in the Grand Staircase – Escalante National Monument over the changing cottonwood trees that snake along the bottom of the canyon below. On my very first camping trip of the year I headed down to Coyote Buttes North and caught a little snow topping the sandstone mountains at sunrise from Sand Cove. 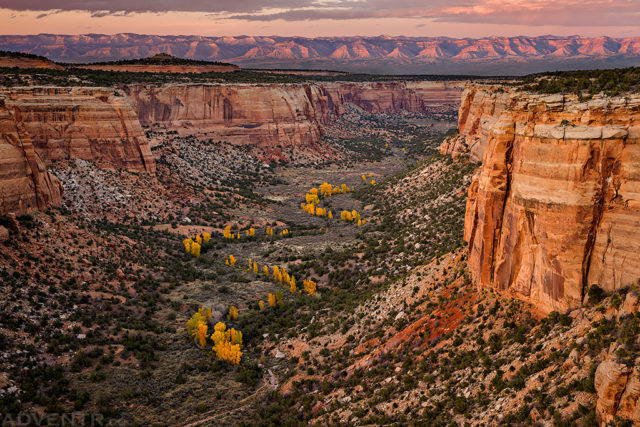 I’ve had this photo of Ute Canyon in the Colorado National Monument on my mind for a couple of year now and was finally able to pull it off this past fall. 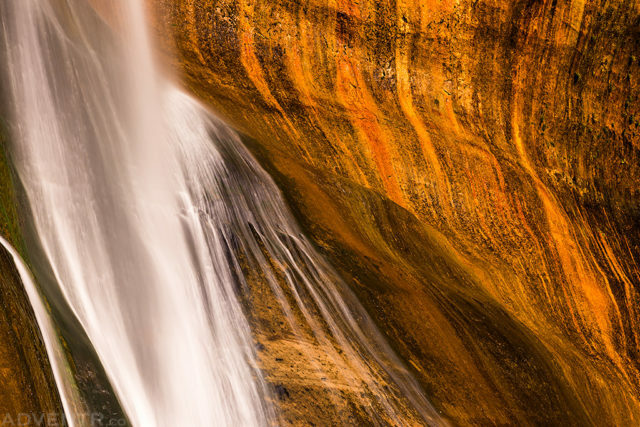 Calf Creek Falls has been on my list of places to visit for many years and I was finally able to get there this year. I like this closeup view the best. 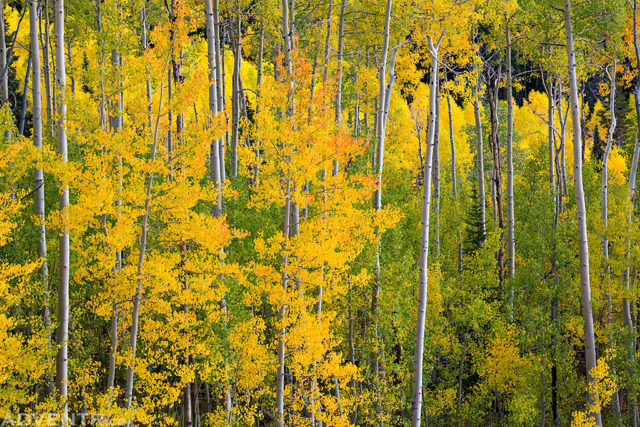 I enjoy trying to turn chaos into order through my photos, especially during fall. I really like the way this one turned out on the Grand Mesa. During the year I try to keep track of all my favorite photos by adding them to a Flickr album as I upload them. You can check out my full album of favorites here to see which others didn’t make this list.